President Obama offered his "back-to-school" remarks this week at Benjamin Banneker High School in Washington DC. The President had a few words of encouragement: "Be the best student that you can be. Now, that doesn’t always mean that you have to have a perfect score on every assignment. It doesn’t mean that you’ve got to get straight As all the time -- although that’s not a bad goal to have. It means that you have to stay at it. You have to be determined and you have to persevere. It means you’ve got to work as hard as you know how to work. And it means that you’ve got to take some risks once in a while. You can’t avoid the class that you think might be hard because you’re worried about getting the best grade if that’s a subject that you think you need to prepare you for your future. You’ve got to wonder. You’ve got to question. You’ve got to explore. And every once in a while, you need to color outside of the lines." Wikipedia announced a cool new project this week that's bound to please fans of QR codes. 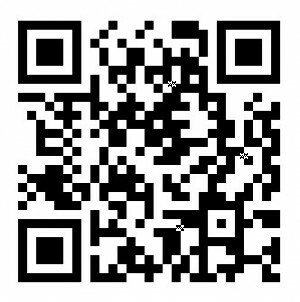 QRpedia will allow anyone to access a complete and mobile-friendly version of a Wikipedia article, simply by scanning a QR code with your phone. With the advent of Wikipedia, of course, it's sometimes easy to forget that there are other encyclopedias out there. But the Encyclopedia Britannica sure doesn't want us to forget, and it'll soon be available in its entirety as an iPad app. The Wall Street Journal's Walt Mossberg has the details, including the subscription fee which will run you $2 a month, or $24 a year. That compares with $70 a year for the Web version and about $1,400 for the "venerable print version." Worth it? It's Banned Books Week, the annual event when libraries and bookstores around the country highlight the continuing problem of censorship by displaying challenged books. It's a good reminder that even with the promise of greater access to materials thanks to the Internet, that there are still lots of places where content -- both print and digital -- is restricted. The blog Hack Library School has a great discussion about intellectual freedom and kids. Amazon unveiled its much-anticipated Android tablet, the Kindle Fire, this week. The tablet will be WiFi-only and it won't have a camera or a microphone, but it will give consumers access to the Amazon Android App Store, as well as to the full range of digital content -- e-books, movies, and music -- that Amazon sells. The price point is less than half the least expensive iPad -- $199. Harrisburg University of Science and Technology has reprised its social media blackout for the second year in a row. The school has blocked campus Internet access to several popular Web sites, including Facebook, Twitter, MySpace, and LinkedIn, as well as text-messaging sites. The blackout is supposed to prompt students, faculty and staff to think about how, when, and where they use social media. "We believe that technology is not inherently good or bad," says executive vice president and provost Eric Darr. "Rather, technology becomes useful or destructive in the hands of users." Read an interview with Darr about his reasons for instituting the blackout last year. The oral history project Storycorps is collecting stories about teachers and teaching. Its National Teachers Initiative aims to record some 600 stories -- stories about and interviews with teachers. Some of these stories will be broadcast on NPR and all of them will be archived in the Library of Congress. Princeton University's faculty has voted to adopt an open-access policy. This means that faculty's published research is authorized to be made freely, openly and publicly available, even if it is being published in a "closed" or subscription-only journal. Faculty can publish their articles on their websites, for example, or in some other institutional repository. The move is part of larger efforts to help ensure that scholarly research is available and accessible -- across disciplines as well as outside the walls of the university. Facebook has been challenging a variety of Web sites that are using the words "face" or "book" in their names. One of its earliest trademark infringement targets was Teachbook, an online community for teachers. Although Teachbook looks nothing like the now-classic white and blue of Facebook, the social networking giant contends that the use of "book" in its name could be confusing. Teachbook has argued that the word "book" is generic, but a judge this week refused to throw out Facebook's complaint.